Downtown Newark is scheduled to receive an unmistakable makeover. The future calls for thousands of residential apartments and condos to spring up and seed an expected flourishing downtown lifestyle. Anticipation is that these new dwelling places will be extraordinarily attractive for current New York residents who crave the Big Apple but not its high cost of living space. Downtown Newark will offer a far cheaper rent bill just 30 minutes or less away from the many employment and lifestyle accoutrements offered just across the river. This is a great bargain for New Yorkers and others seeking quick access to New York and discount living. How Newark residents will benefit is far less clear. No doubt the anticipated arrival of the crowds expected to come across to this side of the Hudson with the archetypical New York mindset and cultural appetite will open avenues of opportunity for business ventures in downtown Newark. Whether local residents will be positioned to capitalize on the expected boon is highly questionable and equally unlikely. Given the relative lack of business acumen and access to capital in the broad indigenous community, newly created downtown money making breaks will likely fall into the hands of a small circle of already well established land and business holders. New businesses will provide more revenue for the city. And while an increase of tax dollars into municipal coffers is always welcomed, the promise of opportunity for average Newarkers seems to be slipping farther into the distance as plans for the future are unveiled. For sure, the downtown we now know is being readied for the dustbin. Vendors and even long established merchants will have to move along to areas more suitable for both their product and clientele. The view of the future is far more upscale in contemplation of both dwellers and shoppers. This is very simply one cost of the progress that comes with a new arena and focus on high-end housing. In fact, as we observed the traffic rerouting on Broad and other downtown streets as preparations for the arena opening were being made, it occurred to us that this might just be the forerunner of permanently pushing local commuters to back street routes. Think how nice our downtown would look if it was a bit more passive and “strolling pedestrian” friendly. Too many long-time indigenous Newarkers are without the financial means to buy their way into what are destined to become Newark’s new designer neighborhoods. These pricy addresses have certain types in mind. But Newark can choose to reject ultra elitism in development of its scheme—downtown and otherwise. The city can rely on creativity to avoid succumbing to classism. People of varying means and wealth ought to be integrated into newly planned communities. This is likely the hope of well-intentioned professional planners. Yet developers with deep pockets and access might dictate something more sinister. Where, and among whom, one lives can often lead to opportunity and success that is otherwise denied or unavailable. The mere exposure to circumstances, people and events sometimes offers motivation that propels and sustains the recipient. Simply not being well off should not necessarily roadblock these pathways to success and abundance. How downtown Newark is developed can signal Newark’s intention to look at its citizenry through a single human lens. At least it presents leaders with an opportunity to be expansive in their considerations and planning. We should all hope they make the most of it. If the city chooses a truly progressive approach to downtown development the community must provide support even though there will be painful dislocation and inevitable inequity. Major projects of this nature and magnitude are never completely fair to all involved. There will be winners and losers but government must work transparently to minimize the gap between the two. And government must also use its enormous powers to insure that reasonable opportunity is presented to small and minority businesses for overall involvement and substantial economic gain under any development regime. With the changes that are likely downtown, there will be a perception of loss for existing players and indigenous Newarkers. This might well be the case but it need not be. In any event inconsideration and poor planning need not exacerbate the perception itself. Citizens are more likely to be accommodating to necessary change if they can identify with the winners even if they are not themselves among them. Change is inevitable. For true success, in Newark, inclusive change is essential. Newark’s leaders should pledge allegiance to fundamental equity. Without such a pledge average Newark citizens will remain disadvantaged in the pursuit of opportunities born of their circumstances. Wouldn't that be a shame? "Indigenous Newarkers" are not primitive peoples living in a rainforest somewhere. There are, believe it or not, institutions in place in Newark to help Newark's "indigenous" people to surf the new wave, not be drowned by it. The Newark Regional Business Partnership (http://www.rbp.org) has various seminars, some free, to help would-be entrepreneurs learn the how-to of business. The City, too (http://www.ci.newark.nj.us/), has various agencies dedicated to improving economic opportunity for "old" Newarkers even as new Newarkers come into the mix. The issue is not whether opportunity exists in all the new arrivals from New York that we can reasonably expect — tho let's not expect too many, lest we be disappointed that there are only, say, 30,000 in the next 10 years instead of 75,000 or 200,000 — but how to meet the challenge of sharing the good fortune. Moreover, the issue is not "minority" business nor special breaks for people of color (which is what we presently, in Newark, mean by "minority"; I am a gay man, and in some settings, gay would be considered "minority", tho not in Newark). Rather, the issue is whether people who don't have their own capital to invest in a business can nonetheless profit from the changes we can now, finally, expect of Newark: to be the overflow space for prosperous people, and especially hip young people, priced out of Manhattan and disinclined to put up with Jersey City's or Hoboken's almost-Manhattan rents but nothing like the space they would need, to move across the Hudson and thus sacrifice living in Manhattan. If they should, despite all the tugs of with-it-ness, make a break from Manhattan, they will want space, and lots of it, and trees and sunlite on all sides, and room for flowers and veggies, to justify that move to their friends and family. (You have no idea how difficult it is to justify leaving Manhattan when you had to make a major break from family and friends in order to go there in the first place.) Newark has that space and all that greenery, at a reasonable cost. J.C. and Hoboken? I don't think so. Newark should thus be pushing The Green Thing: GREENewark — we are urban, but we are green. Lush, with trees and squirrels year-round; with crocuses, hyacinths, forsythia, and azaleas in the spring; roses and multitudinous other flowers and veggies in the summer; and glorious, multicolored chrysanthemums in the fall. We are Urban Green, a place where you can live in nature within commuting distance of Midtown or, especially quickly, Downtown, at a price hugely less than you could get even a prime studio apartment for, in even a middling neighborhood in Manhattan. Newark doesn't have to be super-chic nor glitzy. Let's face it: No city, anywhere in this region, can compete with New York. The closest competitor is Miami (1,400 miles south), then L.A. (2,500 miles west). People comfortable with very-cold winter weather will find magnificent Chicago congenial. But this has become a Nation of weathersissies, and Chicago is just too cold! Newark, while not nearly as cold as Chicago, is perceived as part of the Frost Belt, so we are not likely to attract significant numbers of Americans from other areas than overcrowded New York City. New York has become oppressively overcrowded. That's why I left, after 35 years. You go out onto the street 20 hours a day, and there are people everywhere! Who needs that? Very young people deprived of human companionship, perhaps. Most other people want SOMEPLACE around, where they might walk, not just for exercise but also to be by themselves, viewing their surroundings and seeing their place in everything. Suburbs don't have any élan, nor panache, for the with-it of Manhattan. Still, sooner or later, those canny Manhattanites who don't make it into a 38th-floor, plush apartment in a doorman building by age 40, will look elsewhere. Let them look here. I don't want to be cynical, but when you say, "Citizens are more likely to be accommodating to necessary change if they can identify with the winners even if they are not themselves among them", I think of the scam that Republican plutocrats have run on ordinary Americans: "You don't want high taxes on the rich!, because you might be rich yourself someday." Yeah, right. Longtime Newarkers must actually BE winners from the impending boon in Downtown and other Newark real estate. They must not be played for fools by developers who have absolutely no interest in ordinary Newarkers' doing well from the changes we now expect. Mind you, expecting favorable change is, in itself, an enormous change, because not so long ago, no one would have EXPECTED Newark to become an attractive, much less HUGELY attractive, site for real-estate development for the prosperous and hip. When Mr. Sharif says, "inclusive change is essential. Newark’s leaders should pledge allegiance to fundamental equity", I rush to say, "Amen!" Who, tho, would NOT pledge allegiance to fundamental equity? Newark is, and we are all glad it is, part of the United States, our country, a country we are sometimes disppointed with but which we truly BELIEVE can be what it is SUPPOSED to be. The United States has, historically, aspired to be "The City on a Hill". There are NO SLUMS in The City on a Hill. is newark is gentrified in the manner you describe, history should be a pretty good guide to the effect it will have on the long-term residents. any event, it should be interesting to how it shakes out. after reading your article "downtown Newark" i was taught about the drastic change that is to become . Im the article you speak of upgrading Newark's neighborhoods and downtown areas. you also speak of protecting Newark natives (such s myslef) from this slow but sure manuver.You believe that while the government is in such a rush to welcome new yorkers, they should also make this life cable for the less fortune newarkers that lived here for most of their lives. I agree i do believe that the government shouldnt wipe out the existing community in hopes d a new one. In one of your paragraphs you mention something to the note of newark being dislike new york in the fact that the rent will be much cheaper. if that is proposed to the state officials, that may be one way for native indegenous newarkers to capitalize on this new way of life. I mean why are the immense amount of residents to this urban city being forced out of thier homeland because the government wants to spend money on resturants and become a replica of times square.If anything they should be focusing in a stopping gang violence and drug trafficing. when New Jersey's government welcomes new comers from neighboring states, do they think the disadvantage in our community will dissapear? In the letter by Carl Sharif, it brings up an upcoming change in the city of Newark. This change, involves New Yorkers coming into Newark, and moving into condos, that are in the Downtown area. Also, that with these people, moving in, there will also be many new businesses that will spring, causing some of the old businesses to have to relocate, and get new clientele. This is a very enriching idea, which will cause Newark, to transform into a new city. This is a very positive and essential idea, which will turn Newark into a “more passive and strolling pedestrian friendly” place. This means that with all the new businesses, people will want to walk the streets of the new Newark. Carl Sharif really anticipates what the future will bring and how all people this will affect. He mentions, “There will be winners and losers, but the government must work transparently to minimize the gap between the two.” This means that with the start of new businesses, all of the old smaller businesses will have to watch out, because they will be left out. As this may occur, the government will have to make sure that both big and small businesses make money. Carl Sharif also feels that this is a good idea. He feels that as long as both new and old businesses make a sufficient amount of money, they change can occur. Also, change is a positive aspect of life, and a change in Downtown Newark, will really help out the city. He makes the statement, “The downtown we know is being readied for the dustbin.” This statement means that the old Newark will be eliminated, and the new Newark, will be welcomed, as the future occurs. Carl Sharif truly feels that a change is okay, as long everyone benefits. Reading the article of Downtown Newark’s “unmistakable makeover” by Carl Sharif was very interesting. He gave much facts and figures, and evidence with opinions to prove his point to his reader’s. I also noticed that there was a great use of strong vocabulary used throughout the entire piece. This was a piece of writing where you had to go back and read it over again due to the strong context of the writing style. It wasn’t an easy read to follow, which I felt was great because that’s a way to pull the reader in even more by them having the urgency to reread the piece. Something that shocked me was the date on the text stating that this was actually happening as we speak. Many great key concepts were brought to the reader’s attention as well. “Why is it that we should let people come across the Hudson and basically take over?” This was what Sharif really was screaming to the native Newarkers about. If we don’t take a stand on the topic, New Yorkers will just come over and eventually move us all out of our own nest. Of course this is not right, but some of us may allow actions as these to take part. We must not though. When Sharif talks of “the government using its powers to ensure things are equal between the two and that nobody should have more than the others,” I completely agree with the solutions to help this issue before it escalates to a higher level between groups of people. This piece of writing gave much evidence as to why Newarkers have to step it up a notch and not be looked at as a bunch of lazy people living and getting for cheaper than hardworking people. We have to make ourselves be seen as a worthy group and do something about them trying to take everything away from us. Thanks to Carl Sharif enforcing this topic, it’s change for us we need to make and not for anyone else to make for us. Mr. Carl Sharif please find it within your heart to take time out to come and talk with some students in my school and the entire eight grade as a whole. Trust me when I tell you many reports as these are headed your way. So, if you have time throughout your busy days, please find it within your heart to come to our morning circle. If interested please contact at 973-642-0101 extension 111. In a recent editorial in The Star Ledger, writer Carl Sharif discusses the future changes that Newark is planned to go through. In his editorial, he lists the advantages and disadvantages of these changes. His main message was to make sure that indigenous Newark people will benefit from these changes. Personally, I agree with him. I’m one of those indigenous Newark people and I feel that I should be able to benefit from these new changes that are being done to my city. When I am old enough to work, I would like a job in one of these businesses that will be coming to Newark. In addition, not only me, but other people that have been born and raised in Newark without a job. These changes should provide more jobs for the unemployed. Also, sense they will be designing new neighborhoods to live in. All social classes should be able to benefit from it. Even if it is more upscale than other neighborhoods, people who are not as wealthy as upper classes are work just as hard as them and deserve to lie down in a decent and safe environment. Needless to say, these new changes that are happening to Newark should be beneficial to all people, from poor to rich. Reading your new letter editorial, “ Down Town Newark” made me realize how much of a change that Newark is going through. In your opener, the sentence that caught my attention was, “ The future calls for thousands of residential apartments and condos to spring up and seed and expected flourishing downtown lifestyle.” This opening sentence catches my attention because it uses visual words that I can picture in my head. This sentence opener clearly puts the picture in your mind that homes as to condos and apartment buildings will be built before we can snap our fingers. In your editorial I recognize the advantages and the disadvantages with the “ unmistakable makeover” of Newark. The first advantage that I realized was that these homes will be built so that more people can come to Newark, starting up businesses and a new lifestyle. However, the disadvantage is that where will the people go that had started life long businesses in Newark go? People are going to be kicked out of their homes, to make way for the condos and other places for people who can afford it, at the New York price. Creating a larger landscape at the end of your editorial was great. You said, “ Change is inevitable. For true success in Newark, inclusive change is essential… Newark citizens will remain disadvantaged in the pursuit d\of opportunity born of their circumstances.” When you want to make a change you have to realize exact what change is, and would it be beneficial for every one. At my school we say, “ Be the change you want to see in the world!” as you said we can make an even bigger change if we make a pledge to fundamental equality. We have to do something to make a difference in Newark and only the Newark citizens can do that. The fellow members of my school would like to invite you to our school to speak to the middle school about the chnages concerning Newark. In the editorial tilled “Downtown Newark” by Carl Sharif, Sharif talks about Newark and how it is ready for change. Newark is a good place that it sometimes overshadowed by its flaws. Luckily, Newark is currently about to come across some “unmistakable changes”. In fact, we are coming across so many essential changes, that New Yorkers will want to move to Newark because New York is becoming too expensive. “Downtown Newark will offer a far cheaper rent bill just 30 minutes or less away from the many employment and lifestyle accoutrements offered just across the river.” The change in Newark will attract newcomers. Newark is in for a change, but how will it affect the native and indigenous Newarkers. People from New York are used to high-class living. Their way of living will have to carry over with them and prices in Newark will begin to change. “Newarkers are without the financial means to buy their way into what are destines to become Newark’s new designer neighborhoods.” The native people of Newark will not be able to keep up with the financial expectation of the new Newark, and they will be pushed out of Newark. New Yorkers aren’t going to like the many Dunkin Donuts that we have downtown, but they will want to install more Starbucks and other popular stores found in Newark. This will drive vendors out of Newark. They have been in Newark for many years, but they will be pushed out, just because of the New Yorkers. “There will be winners and there will be losers but government must work transparently to minimize the gap between the two.” The government has to make sure that both the native Newarkers and the migrated New Yorkers are happy and pleased with the changes that are soon to occur in Newark. 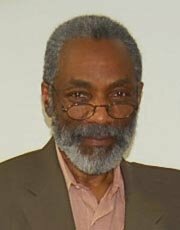 In Carl Sharif’s article, “Downtown Newark”, he speaks of “unmistakable” changes that will occur in Newark and how the native Newarkers cannot be forgotten and overshadowed by New Yorkers. By the way, if you are interested in speaking about this issue at North Star Acacdemy, please call 973-642-0101 EX.111. Thank You!!!! You Mr. Carl Sharif wrote an article called, “Downtown Newark.” This article that you wrote had a great impact to me. What you said was true because the state of Newark is starting to change and I also think that when you wrote this everything that you said I agree with. Something that you said that was true to me is when you had said that the changes that are made should benefit the needs of everyone. I think that this is correct because sometimes when changes happen “they” who ever is making the changes don’t consider the benefit for others just for themselves. I don’t think that what the big business are doing is right. I think that what they are doing is considered not right because just because these big companies are big and known, they think that they have the power to just come in and destroy the small businesses by coming in and opening a business making the little ones lost there costumers. Once on a television show that I had saw spoke about how there was a small coffee business and a huge one like a star bucks came in and tried to ruin the small company by taking away their costumers. In addition, I think that New Yorkers are coming because in New York they don’t have any small businesses so they come here so that they won’t need to spend much money on materials that they could get in Newark for a smaller and cheaper price. This would cause chaos because it would also enlarge the population. When you wrote this you had a mood of protection. I don’t blame you. What these large industries are doing is not justice. The reason this is not justice is because you have these small tiny not harming annoying one business, so because there’re small businesses the larger ones feel threatened because the smaller ones have cheaper products so the large ones want them out the picture. I consider the larger companies as if they are nothing, but the mafia because the large industries want to take out the smaller ones because they are in the way of the large businesses from receiving the profits that they want to receive. I really think that I agree with what you said when you mentioned that when Newark is finally done with making the changes the people of Newark should see how the large industries are taking away the smaller ones. Now that Mayor Cory Booker has made a law that said there could only be a minimum of twenty small businesses that you see in the streets they have to have a license because of this law and I think that this new law is preposterous. Many people need to make money so they just are selling items in the streets, but because they are doing this and they have no license then they are going to jail because of this misfortune. I agree with you Mr. Carl Sharif that when the changes are finally done being made that everyone has the same right as all of the other companies large or small. So Mr. Carl Sharif to rap up this I would like to say that this article had an impact to me and that your article was a strong and powerful article because the worlds and the things that you said were true and correct. In addition, all of these things that you said were some powerful things. In Carl Sharif’s editorial he decides to write about how Newark is going to undergo a change and the residencies of Newark have to be ready to adapt to the change. This is absolutely correct because people need to be aware of their financial situations. In the text it states, “Too many long-time indigenous Newarkers are without the financial means to buy their way into what are destined to become Newark’s new designer neighborhoods.” This quote shows that too may people in Newark that have resided there for a while are not capable of the costs that is required for the new homes. Carl Sharif is completely correct but my opponent may argue that people that reside in Newark do have financial means for this change but it depends on the different parts of Newark. My question is why can’t all sections of Newark be ready for the change that may occur? They can and with the help of the government it can be taken care of. In the text it states, “Government must also use its enormous powers to insure that reasonable opportunity is presented to small and minority businesses.” This quote is absolutely correct because the government has enough power to help any group of people or any business. The government can especially help the residencies of Newark. A great man once said “change is best when it benefits others.” Carl Sharif, the writer of the article posted, expresses himself about the substitutes that Newark is making. Not too long ago they started to build the Devils stadium and soon after tearing down building after building and even word that the city wanted to open up different hotels stationed in the downtown area of Newark to give the city a facelift. The author feels that because of the change about building new homes and new attractions would push the indigenous people that were born and raised in Newark out. Replacing the people of Newark with outsiders, such as people from New York and many other cities. Since everything in New York is priced so high, he feels they will soon migrate over the bridge and into Newark. For example in the text It states “Downtown Newark will offer a far cheaper rent bill just 30 minutes or less away from the many employment.“ Because of these new projects there would be more opportunities open to the people of Newark or so they think. Carl Sharif weaved his paper into a beautiful flower that revealed itself throughout the months. For example, from the text it states, “How downtown Newark is developed can signal Newark’s intention to look at its citizenry through a single human lens.” He takes simple sentences and makes them into extraordinary ones. I feel that Newark needs a change to happen in the city to show a sign that it is taking one small step for improvement. Carl Sharif wrote an article titled “Downtown Newark” containing the basic issue of an “unmistakable makeover.” New upscale and upgraded apartments and condominiums will takeover the already established apartment buildings to attract clientele of New Yorkers and new business opportunities. However, this idea is driving out all of Newark’s current residents because their items do not appeal to the incoming people and also because most of the people in Newark cannot afford to live in these upscale apartments. My opinion on this article is that it is very unclear. I believe that Sharif’s audience was meant to be mainly for adults who understand very strong vocabulary. The wording was a little too difficult to understand, therefore it was difficult to understand the point. I believe the opening paragraph was sort of clear, but after that, it was hard to understand what his argument was. It was hard to understand most of the paragraphs or points that the author made due to the difficult pairing of words. However, if you were to take your time and reread the essay, you would understand the purpose clearly. Overall, the essay didn’t really entertain me, however, it did grab my attention to what is going on in Newark. This essay was really meant for mature adults. Furthermore, I really believe that this piece could’ve been more child-friendly if you wanted to attract more people. Strong vocabulary is great, but I believe the essay was too wordy. However, it did state a point, although the author wasn’t 100% successful at it. Would you please come to our school, North Star Academy in Downtown Newark, to speak on the topic of changing Newark. You can reach our English teacher, Mrs. Christian at 973-642-0101 ext. 111Thank you! Carl Sharif, I think you are a great writer in terms of writing in the star ledger about New Yorkers that are struggling with the high ranked prices with apartments and condos. So the plan is for Newark to mend what they have and make it better in order to make a change. For example in the text it states “The future calls for thousands of residential apartments and condos to spring up and seed an expected flourishing downtown lifestyle.” By this quote Sharif means that New Yorkers are going to be coming to Newark with money and the condos will be affordable. But What about the people that were born and raised there? Where will they go? They will be moved to a different region. That wouldn’t be impartial, that is why the change is inevitable for the success in Newark. This is the reasoning, in exclusive, change is essential. Change is important for the present and for future reimbursements. Sharif states that he wants the government to be ready for change but in a way of being balanced financially. He states “Newark’s leaders should pledge allegiance to fundamental equity,” This means that Leaders should set a better example for the potential that is ahead of Newark. Therefore Sharif has done a phenomenal job when writing in the star ledger about the New Yorkers and them wanting inexpensive condos and apartments. A native of Newark, Carl Sharif writes an editorial entitled “Local Talk” about how the new renovations that is happening in the Downtown ward of Newark will benefit the indigenous people there or will it benefit others who are traveling here from larger cities like New York. He says, “Newarkers are without financial means to but their way into what are destined to become Newark’s new designer neighborhoods.” The new “unmistakable makeover” that Newark is having will not help the natives of Newark, from what Carl Sharif, is informing us because the tax prices will increase and the people that have been living in Newark for quite some time now will not meet the indispensable standards that the new and improve Newark will provide. Since the taxes will increase, that means that the venders and other people who make their living selling items on the street curbs and corners will now have to vacate the place where they grew up and were raised because their clienteles will not be interested in the type of merchandise that they are putting forward to sell. I too am a native of Newark and everyday I walk down Broad, Market Street, and gaze upon how many new stores are coming into play and how many venders are decreasing each month as the years go by. I agree with Carl Sharif when he says, “Vendors and even long merchants will have to move along to areas more suitable for both their product and clientele”. If more and more people commute to Newark from New York, then that means that, more and more small businesses are going to have to evacuate for the bigger and more expensive businesses to take over. Not only will these more massive businesses take over; it also will begin to eradicate the population of the natives of Newark. It does not seem fair for this to happen. Carl Sharif says that the government plays a major role in this renovation because they decide how much money each business in the city has to pay. Although change is inevitable, there are many ways to contain and make the profits of the benefits balance for both undersized and superior businesses. For example, the government can make the larger businesses that have commuted to Newark, pay a higher profit in rent than the smaller businesses that have been in Newark from the start. We should take a stand and prevent this from happening now that it is fresh in our minds. In the article named, “Downtown Newark” by Carl Sharif he explains that downtown Newark is going threw some changes that most people barely knows about. The whole reason for this makeover is because New Yorkers think that New York apartments are to expensive so they say why not go to Newark which is only 30 minutes away to build cheaper apartments. But the native Newarkers can’t really afford these new apartments and will start getting pushed out of Newark. In addition the small businesses and venders that were already there are closing and shutting down because everything is so expensive like rent and license for the venders. Then when the big businesses come in they take over and the people that are getting don’t look like us and don’t wish to give back to the community. I don’t like this sound at all. Everywhere in Newark and downtown I see some one building or working on these good looking buildings. And they are knocking down the projects and hood so now people have no where to go. People need to know about this so that we can do something about it. I am glad that I read this article because it really explains every thing that is going on. This is for Carl Sharif and from Northstar we welcome you to speak at our school. You can call us at 973-642-0101 ext. 111. Today i had the pleasure of reading you interesting article about how the people of New York are trying to take over Newark. They are basically exploiting Newark because they see that it's cheaper to live there and it's very close to New York so the drive there and back is not very long. “This is a great bargain for New Yorkers and others seeking quick access to New York and discount living”. These people are benefiting off the advantages the Newark territory gives, but what about the people who were already here? They'll get pushed out of their homes by the New York people. It will eventually begin to effect the workers of Newark, because eventually the New Yorkers will become a new set of clients and with a set of interests. This will cause people who are selling things to move as their clients begin to move. The inevitable change will cause the natives of Newark to move, and it will only be beneficial to the New Yorkers. The students of North Star would be honored if you were there to explain your article in person. We would benefit more if we actually heard you pontificate your ideas. Many of the younger grades are also unaware of your beliefs and they too would benefit. you can contact North Star at 973-642-0101. Our teach Mrs.Christian's ext is 111.